MG Sales Centre can look after your modern MG from purchase to aftercare. Located in Longbridge, Birmingham, the MG Sales Centre is the UK's flagship dealership. Their 12 car showroom displays the full MG Motor range, including new models such as the MG3, MG6 GT and MG6 Magnette. With an extensive range of Approved Used MG's also in stock, demonstration vehicles are always ready for a test drive. The sales executives at MG are ready to make your experience enjoyable, with many combined years in the trade. By offering extensive advice and information with any used MG purchase, they can make sure all of your queries are answered. Aftersales is a major part of the MG Sales Centre, with a thriving service and parts department staffed with fully trained technicians. Working inside the iconic MG Birmingham factory, they can provide anything from a simple service to full diagnostics. 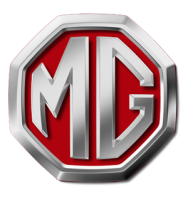 This department also makes use of a multi-million pound stock of parts and accessories to improve or repair your MG.
MG Rental services are available if you need a fully insured and cared for car, with competitive daily rates on models such as the MG6 GT. Finance packages are widely available and can be tailored to fit your situation, ensuring your costs are spread into manageable payments. Hire purchase can be done on a conditional sale basis or via a Personal Contract Plan. Both personal and business leases are offered to all customers on new and used vehicles. Motability is also available, with the disability scheme providing insurance, servicing and maintenance, RAC breakdown assistance, annual car tax and free tyre or windscreen replacement. If you're looking for a high quality vehicle at a competitive price, the MG Sales Centre dealership in Birmingham will have something to suit your needs.